No matter how small the knee injury seems at first, it’s in your best interest to get it checked right away with a board-certified professional. Otherwise, the injury may become a serious nuisance. 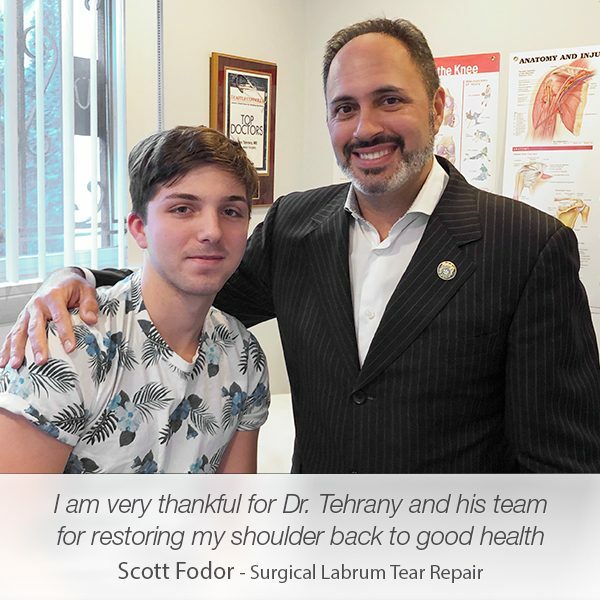 Cathy Williams explains in her Yelp review, in which she recommends Manhattan Orthopedic Care’s knee specialist Dr. Armin Tehrany. 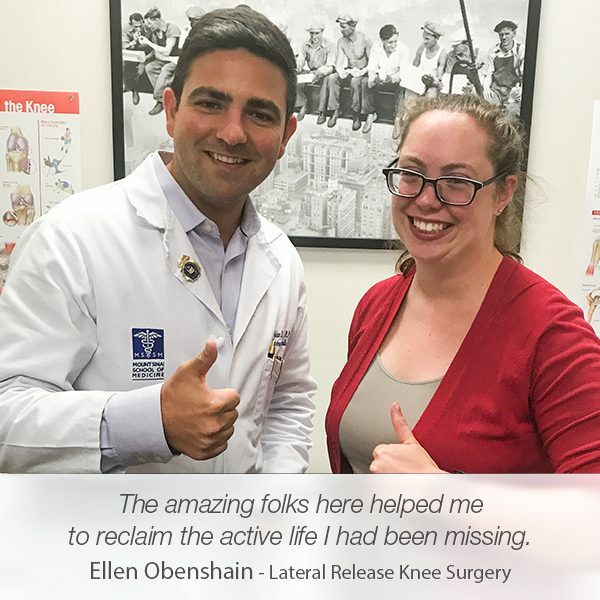 Mrs. Williams tore her meniscus eight years ago but avoided surgery because she believed that physical therapy would help her knee injury to recover. “I have been fine up until the mid months of 2013. You see I am a taebo kickboxing lover and I noticed my knee was swelling up big time. No big deal, ice it, wear a knee band, and I will be fine. Well, later in 2013, whenever I was walking or twisting to kickbox I would fall. Again, no big deal, just stop kickboxing for awhile. It was a temporary fix. So I spoke with my medical doctor who referred me to Dr. Tehrany“. The recommendation paid off for Mrs. Williams who was initially impressed with Dr. Tehrany’s approach. He listened and took his time to access the knee injury. Unfortunately for Mrs. Williams, her knee was in bad shape. 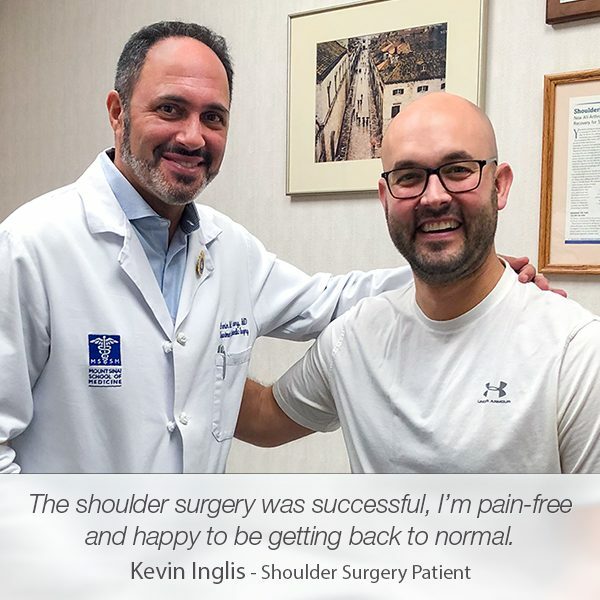 But, after an extensive examination and advanced imaging, Dr. Tehrany proposed knee surgery, and although Mrs. Williams was still hesitant to undergo the procedure, she spoke with more doctors who gave “rave reviews” to Dr. Tehrany. “Dr. Tehrany got me setup to get MRI scan and X-ray of my knee. When I met with him again he told me how much damage was done. Yeah I was not happy. But my knee was HURTING. He explained this surgery would be the best thing for me since I had therapy and shots. I was still hesitant. But the great thing was I had the opportunity to speak with staff to hear their comments about Dr.T. 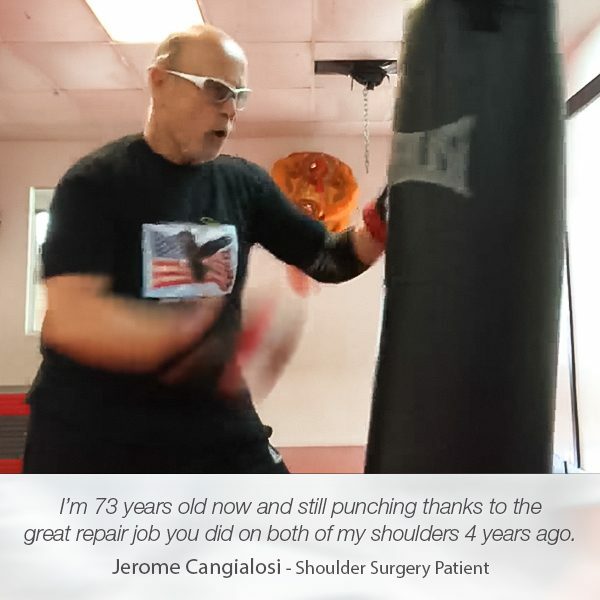 and his patients and I got rave reviews, even from doctor friends of mine. The staff was tremendous making me comfortable and assured. Hey, this is my knee. Haha“. The surgery was а major success. The best thing for Mrs. Williams was that she didn’t feel any pain in her knee after the procedure. Three months later, she is preparing to continue with her kickboxing.